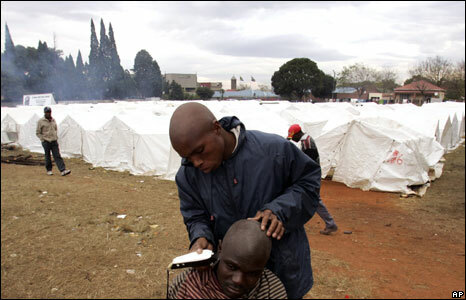 Up to 70,000 foreigners displaced by a wave of anti-immigrant violence in South Africa have taken shelter in temporary camps. Aid agencies have warned that conditions in the camps have been deteriorating, with temperatures low and chest infections and diarrhoea reported. 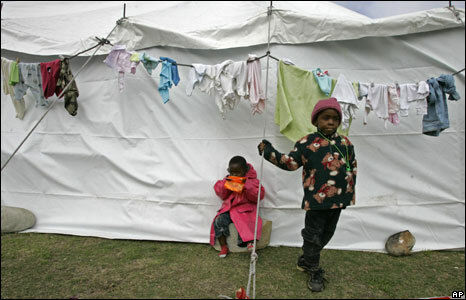 The South African government has said it will set up seven refugee camps across the country to house the immigrants. 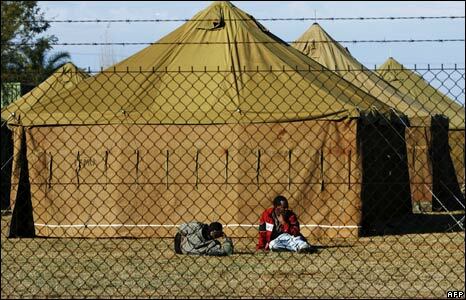 But agencies have warned that South Africa does not have the experience to run the camps. 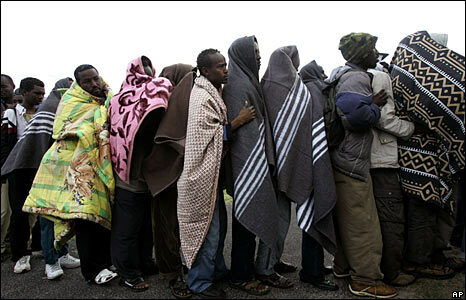 Mobs began attacking foreigners earlier this month in a township north of Johannesburg. 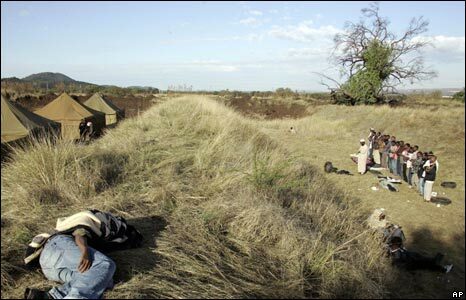 The violence then spread to seven of South Africa's nine provinces. South African President Thabo Mbeki has called the violence an "absolute disgrace" and the worst act of inhumanity South Africa has seen since the end of apartheid.